I love a clean slate in the garden! I opened up an area just in time for fall planting by removing low growing evergreen honeysuckle shrubs (Lonicera pileata) and an unnamed peony. 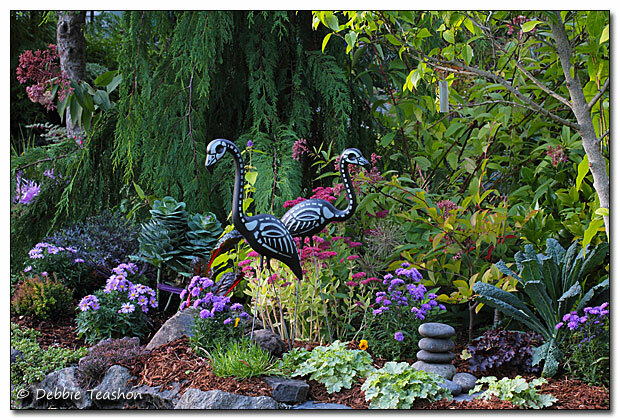 I also took the opportunity to plant perennials and annuals to make a beautiful autumn garden. 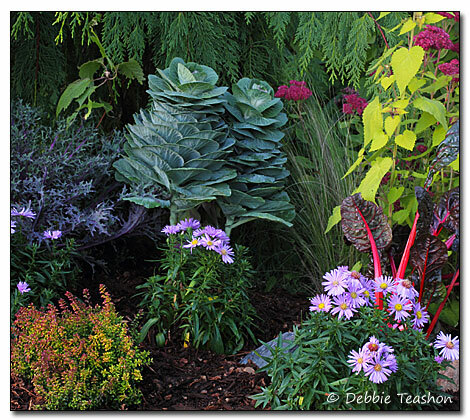 What fun it was to once again play with kale, asters, and Swiss chard! I added another low growing honeysuckle—Lonicera ‘Twiggy’, which will add a golden evergreen presence year round. 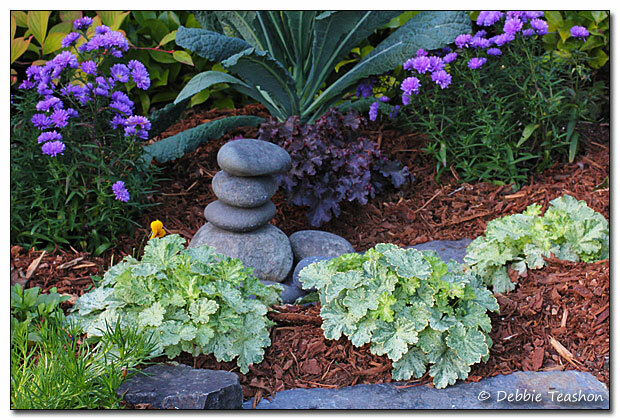 I installed a few flagstones to stand on when working in the garden, and stacked a short cairn on top of one of the stones. 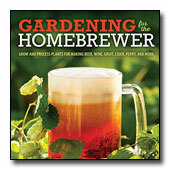 Once everything was planted, I topped the soil with coffee grounds and bark mulch. By spring, the earthworms should have worked the coffee grounds into the soil, a much-needed renewal after a few years of neglect in this area. 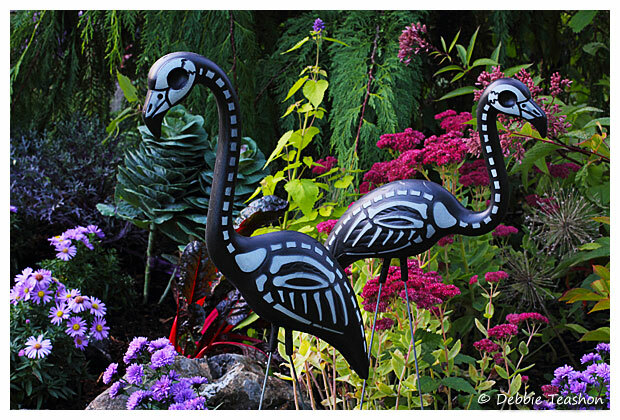 Since it's October, I drug my skeletons out of the closet—flamingo skeletons, that is—for a little garden playfulness. A Stewartia psuedocamellia tree will eventually shade this bed out; but for now, the bed basks in full sun. 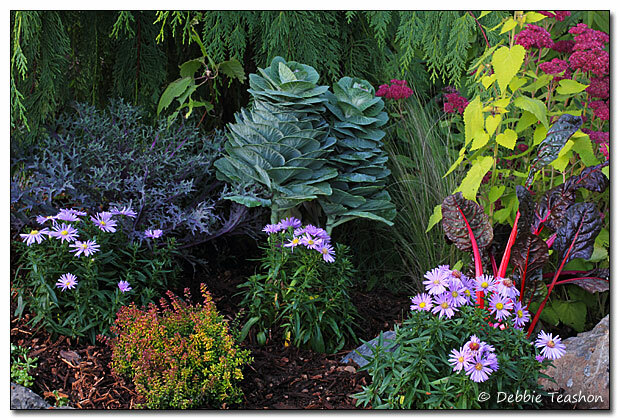 Ultimately, ferns and other shade tolerant plants will cover this ground, so I consider almost everything in this bed transitional until the shade takes over. 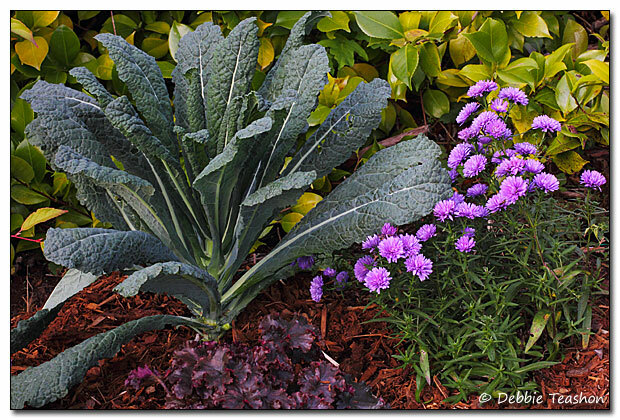 Out comes the kale and Swiss chard in spring, and in their place I will plant some fun annuals amongst the perennials. For now, I want to keep this area experimental with more front-of-the-border size annuals—with Salvia viridis being one of the first. 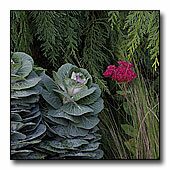 Following the photos are a list of plants in this garden area. 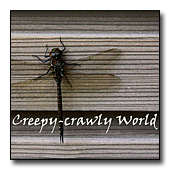 You may be interested in watching this short, fun video: Creepy-crawly World.